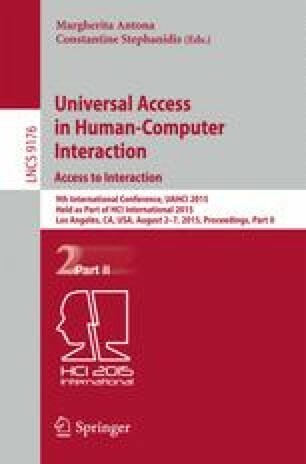 The goal of the study reported in the paper was to determine whether rendering style (non-photorealistic versus realistic) has an effect on perception of American Sign Language (ASL) finger spelling animations. Sixty-nine (69) subjects participated in the experiment; all subjects were ASL users. The participants were asked to watch forty (40) sign language animation clips representing twenty (20) finger spelled words. Twenty (20) clips were rendered using photorealistic rendering style, whereas the other twenty (20) were rendered in a non-photorealistic rendering style (e.g. cel shading). After viewing each animation, subjects were asked to type the word being finger-spelled and rate its legibility. Findings show that rendering style has an effect on perception of the signed words. Subjects were able to recognize the animated words rendered with cel shading with higher level of accuracy, and the legibility ratings of the cel shaded animations were consistently higher across subjects.